Fairfield County is one of nearly twenty-thousand communities who participate in the National Flood Insurance Program (NFIP) in exchange for federally backed insurance made available to owners and renters of home and business. To participate in this program Fairfield County has adopted and enforces the Special Purpose Flood Damage Prevention Regulations. The regulations purpose is to promote the public health, safety, and general welfare, and to minimize public and private losses due to flood conditions in specific areas. Our office administers the regulations for the unincorporated areas of Fairfield County. Lancaster and other surrounding communities administer their own programs. The Villages of Amanda, Lithopolis, Pleasantville, Rushville, Stoutsville, and West Rushville do not participate in the National Flood Insurance Program. Floodplain development permits are required prior to construction or development within a Federal Emergency Management Agency (FEMA) identified special Flood Hazard Area (SFHA). Floodplain development permits are reviewed by staff to determine compliance with the Special Purpose Flood Damage Prevention Regulations. To apply for a Floodplain Development Permit you must fill out a Special Flood Hazard Development Application and have a Elevation Certificate completed by a professional surveyor or engineer. Both of these forms can be obtained through our office or downloaded online. Additional material will be required depending on flood zone, type of project, and site conditions. You are encouraged to contact RPC to discuss the project and submission requirements before applying for the permit. The application fee is $75. Floodplain certifications can be requested for a review fee of $10.00. The certification involves a review of the location of the property in relation to established flood hazard areas as identified on the FEMA Flood Hazard Maps. Our staff will then note on the certification form if the property is located in an identified FEMA Flood Hazard Area. Flood determinations will not be made over the phone. Floodplain maps may be viewed in our office during regular business hours or online. 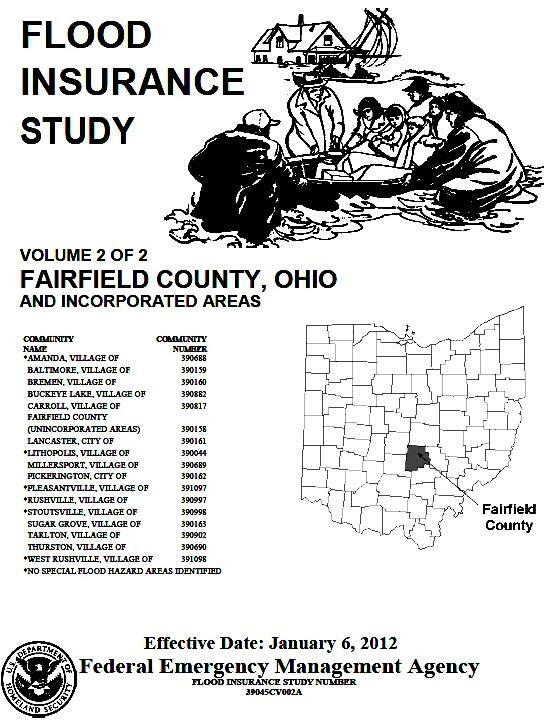 These maps are scanned versions of the original flood maps provided to our office by FEMA. 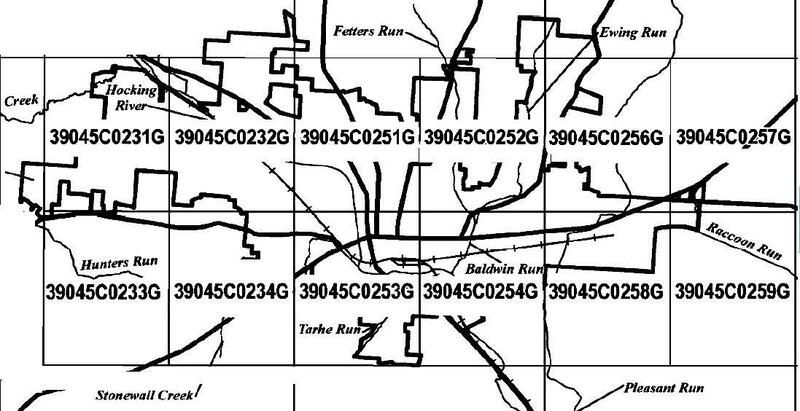 Maps are subject to periodic revision and are provided through this website as general reference purposes only and should not be used for scaling purposes or for final determinations of flood hazard status in areas close to a flood hazard boundary line. 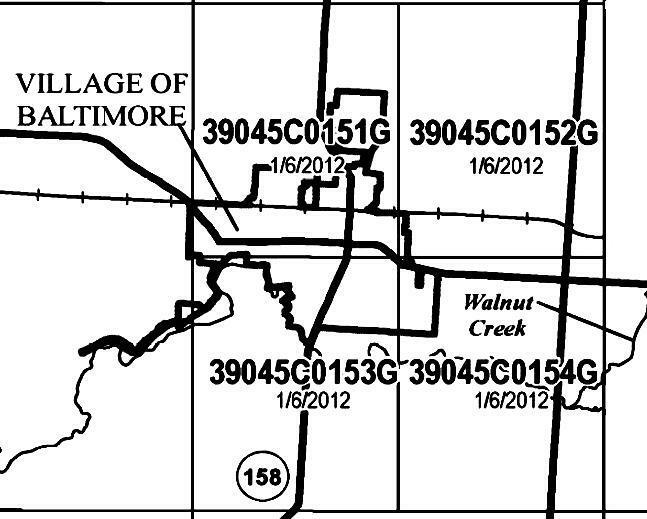 The Fairfield County Regional Planning Commission and FEMA are not responsible for any actions taken as a result of the use of these maps or for any distortions in scale or other variations, which may exist or will occur due to the scanning process, use of the maps on home computer displays, or printouts produced from the digitized maps. Flood Insurance Rate Maps, also known as FIRMs, are published by FEMA to determine flood insurance requirements (as the name implies) and to assist communities in regulating new development. Among other things, Flood Insurance Rate Maps show areas that have a 1% chance of flooding and a 0.2% chance of flooding in any given year (also known as the "100-year" and "500-year" floodplains). These areas are determined to be the areas of highest risk when a stream overflows its banks. ACTUAL RAINFALL AMOUNTS may exceed those assumed in the computation of mapped floodplain. SMALLER CHANNELS may not have been studied. The stream near your home may have a floodplain that is not shown on the Flood Insurance Rate Maps. THE FLOOD INSURANCE RATE MAPS are estimates using the best technology and engineering tools, but nature can be unpredictable. Remember, Nationwide, one-third of the flood loss claims are from property located outside of the mapped 1% (100-year) floodplain. • Engineering information such as survey benchmarks and the location of cross sections used in computer simulations. The following table shows the different zones on the Flood Insurance Rate Maps and what they mean. 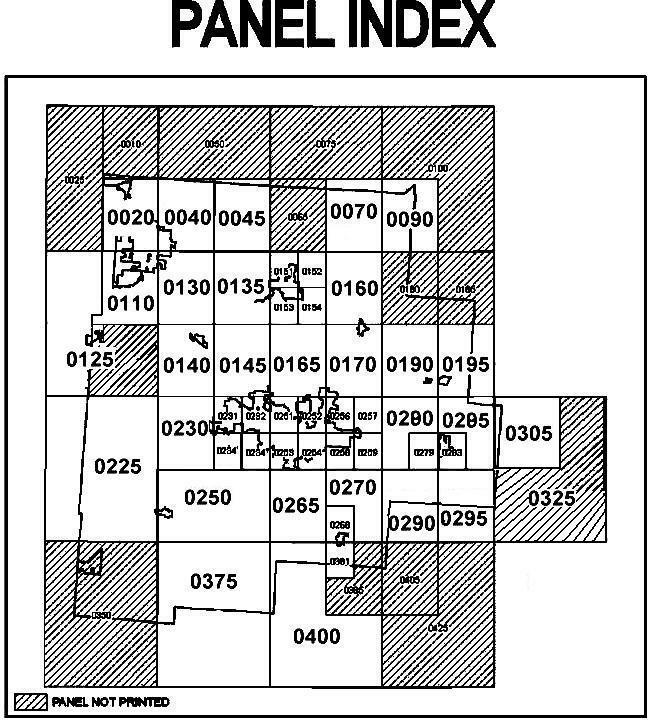 The legend on the Flood Insurance Rate Map has a more detailed description of the zones. Note: Zones A and AO are also 1% (100-year) floodplains, but they do not have detailed base flood elevations like Zone AE. There are other zones on the Flood Insurance Rate Maps that are explained in the legend. FEMA's map service center can be used to search for flood insurance rate maps. This page will show the most recent FIRMs for Fairfield County. FEMA’s national flood hazard online map is an interactive flood hazard mapping website. FEMA's handbook on appeals to new preliminary Flood Insurance Rate Maps. 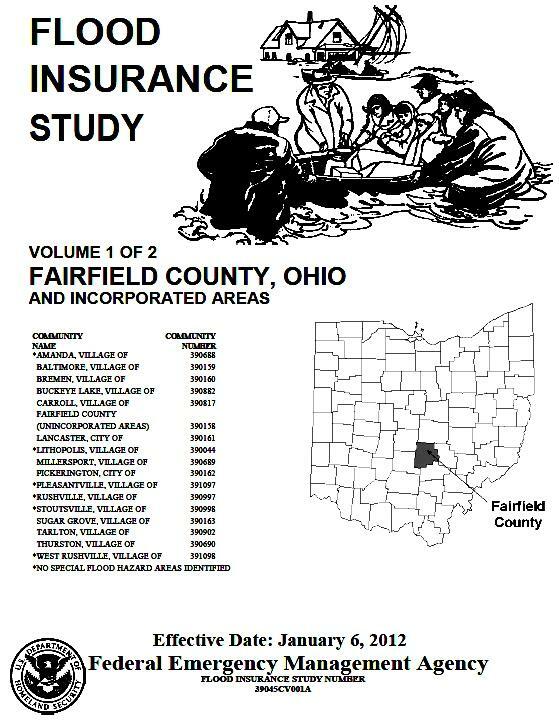 Fairfield County's new flood insurance rate maps became official on JANUARY 6, 2012.